No matter what your level of playing, you probably know that a good pickup can make a huge difference in your sound. If you are customizing your guitar, or if you simply need replacements, it’s good to know what pickups are available. There are quite a few options, each of which will affect your guitar’s tone. With just a bit of knowledge and research, you can find just the right pickup for your unique sound. A pickup is a combination of magnets and coiled electrical wires that send the sound played on the strings to an amplifier through a cord. The combination of wiring and magnets determines the sound. There are three basic types of guitar pickup: single coil, humbucking and acoustic. Single coil pickups are used individually or in combination with other single- or double-coil pickups. They are known for their bright, transparent sound. They’re commonly used on Fender Stratocasters, traditionally in threes: the bridge, middle and neck (named after their proximity to each part of the guitar). A switch on the guitar indicates which pickup or combination of pickups is being used. The Telecaster uses bridge and neck pickups. Many other guitars use similar setups. 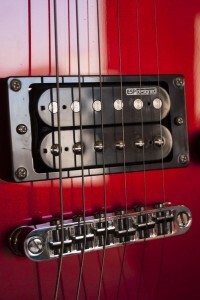 Although widely loved and used to this day, many guitarists find that a disadvantage to single coil pickups is their high level of noise, or “hum.” In an effort to combat this, the double coil or “humbucking” pickup was developed by Gretsch and also by Gibson. The second coil cancels out (“bucks”) most of the hum caused by electrical interference. These pickups tend to provide a fatter, rounder tone. Most Gibson and Epiphone Les Paul models use this type of pickup. 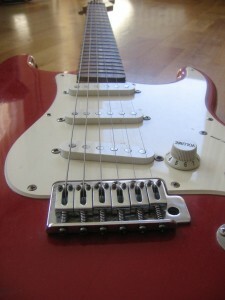 Even Fender offers a combination of humbuckers and single coils on some of its Strat and Tele models. Acoustic guitarists needing to amplify their playing have fewer options for pickups. Most of these pickups simply reproduce the acoustic sound without additional effects. The most commonly used is the soundhole pickup. As the name implies, these pickups clip or snap onto the soundhole. Another option is the soundboard transducer. This inexpensive pickup simply attaches to the top, or soundboard, of the guitar. As it’s not directly on the soundhole, this pickup will not sound as “twangy.” A third option is an undersaddle transducer. This is essentially a wire transducer that sits under the saddle on the bridge of your acoustic. Installing one of these takes a little more expertise, but the sound reproduction is quite good. Typically, replacement guitar pickups are available from the original manufacturers. If you own a recently-made guitar and simply want to replace broken pickups, this is a fine option. But what if you own a vintage guitar for which the pickups are no longer readily available? Or what if you love your guitar, but want to change your sound? 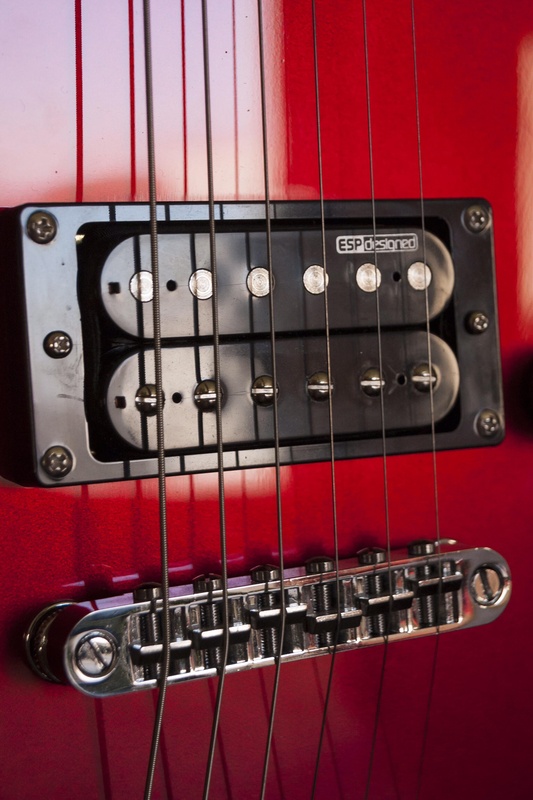 Renowned manufacturers such as Seymour Duncan, EMG and DiMarzio offer a wide variety of pickups for various guitars, ranging from vintage reproductions for classic guitars to innovative new pickups that will give your guitar the unique sound you have been searching for. Many pros swear by these brands. Fender, Gibson, and other brands often offer these pickups in place of their own for many guitars in their artist signature lines. Your pickups are critical to your sound. When it comes time to replace your existing pickups or to customize, do your research! Ask a lot of questions and try out guitars using different kinds of pickups. You will find that perfect pickup for your sound.